has much more meaning when it has a photo of the family or loved one. Grandfather's love pictures of their grandkids to share with everyone around them. 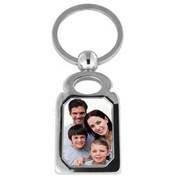 We got our review keychain with our graduating son's photo on it and plan to give it to Dad on Father's Day. The photo comes out beautifully, so hard to believe it is engraved on the keychain and not an actual photo! PicturesOnGold.com also has Fathers Day Cufflinks and Fathers Day Pendants with fantastic selections for your Dad, Grandfather, Uncle, Husband and the other men in your life! PicturesOnGold.com has EXTREMELY fast shipping! I have always been impressed with how quickly after they receive my photo that they have it done and in my hands. Still time to get yours ordered for Father's Day! my daughter would love to give her dad the daddy's little girl dog tag pendant.